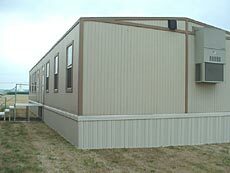 [JULY 26, 2001] Last week two new portable classrooms were delivered to Zion Lutheran School in Lincoln. They will be used for the seventh and eighth grades. This is first time in school history that each grade will have its own classroom. The rooms will be able to hold about 30 students each, but the size of the classes is about 15 each. The student in the picture is Amanda Baker, an eighth-grader. [JULY 18, 2001] Lincoln Christian College is pleased to announce three new faculty members. Ms. Spellman, who has been employed at LCC since 1980, most recently as director of media services, has been granted faculty status as assistant professor of media services. Under her direction, the Media Services Department has expanded from a few thousand audiovisual items to a collection of nearly 30,000 resources and annual circulation of more than 60,000. She earned a master’s degree from the University of Illinois at Springfield, with a specialization in educational technology and management. Ms. Rutledge has been granted faculty status as assistant professor of general education. She will continue in her role as director of the Learning Resource Center, which she began in 1997. She assists students who are struggling academically or need encouragement. 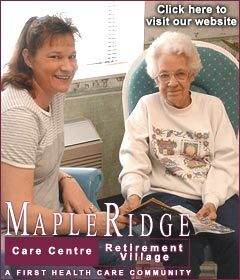 In addition, Ms. Rutledge as serves as a teacher in the General Education Department. She holds a master’s degree from Eastern Illinois University, with an emphasis in guidance counseling. Dr. Sennet, a 1981 graduate of Lincoln Christian Seminary, has been called to be professor of interdisciplinary studies and philosophy. He earned his doctorate in philosophy in 1990 from the University of Nebraska, where he also served as the campus minister for five years. Beginning in 1995, he served as professor of philosophy at McNeese State University in Lake Charles, Iowa. He has written and edited several books and articles concerning Christian philosophy. [JUNE 29, 2001] Starting with the fall semester, Lincoln College will be able to offer bachelor’s degrees in liberal arts and business management at its campus in Normal. The North Central Association, the regional accrediting association, has approved Lincoln College’s request to offer a two-plus-two program. The program will permit students who have earned an associate of arts degree to continue with courses leading to a bachelor’s degree. Lincoln College President Jack Nutt says the request stems from the demands of the local business community. "Employers have said to us that they would prefer to have liberally educated employees that they can train to meet the needs of a particular position," he said. For more information about the new program, call Lincoln College at Normal at (800) 569-0558 or (309) 452-0500. Also see Lynn Spellman’s article "LC plans to offer 4-year degree in Normal," posted April 28 and 30 in LDN. School begins in the Mount Pulaski District on Aug. 23 with half-day attendance. Registration of students is taking place at all three attendance centers. Students entering preschool, kindergarten, fifth or ninth grades and students who plan to participate in sports must have a physical examination. New students in the district need to contact the schools as soon as possible to fill out necessary transfer forms. Students have been mailed registration materials. Fees for the high school may be mailed back or brought to the office anytime before school starts. Book rental is $64. Additional fee information for certain classes and sports participation is available at the high school office. The high school office phone number is 792-3209, and the registration hours are from 8 a.m. to 3 p.m.
Parents may register students at the grade school office beginning Aug. 12 between 8 a.m. and 3 p.m. Fees are as follows: early childhood and pre-kindergarten, $20; kindergarten through grade five, $40; grades six, seven and eight, $50. Additional fees are charged for Weekly Readers and athletic participation. The Mount Pulaski Grade School phone number is 792-7220. Parents of Elkhart students have received letters with registration information, including book fees. These letters may be sent back to school, or the parents may come to the school office any working day between 8 a.m. and 2 p.m. to pay fees. Fees are as follows: kindergarten through grade five, $40; grades six, seven and eight, $50. The Elkhart Grade School office phone number is 947-2451. Opening day for Lincoln Elementary District 27 schools has been scheduled for Thursday, Aug. 30. Students in grades kindergarten through six are to report to their respective schools at 8:30 a.m. on opening day, and Lincoln Junior High students are to report at 8:15 a.m.
District 27 students in kindergarten though sixth grade will register on Aug. 8 and 9 at Northwest School, and students in seventh and eighth grade will register at the junior high school. Registration hours at both sites will be from 10 a.m. to 6 p.m. Registration fees for the 2001-02 school year are as follows: kindergarten, $48; grades one and two, $63; grades three through eight, $58. The school lunch program will begin on Friday, Aug. 31, at a cost of $1.25 per day. Students eligible for reduced price lunches will pay 40 cents per day. According to state law, before entering kindergarten and fifth grade, pupils must present a completed health card signed by a licensed physician within the past year. The first official day of classes for the 2001-2002 year at Lincoln Community High School will be Aug. 28. Students are to report to their first period classes at 8:05 a.m. Classes will be conducted on an abbreviated schedule with school dismissing at 10:20 a.m. Buses will run the morning routes according to the regular bus schedule and will return the students immediately upon the dismissal of school. Note: No student living within 1½ miles of the high school will be provided with bus transportation. Note: Students not able to register at their scheduled time are to register from 1 to 3 p.m. or from 5 to 7 p.m. on Wednesday, Aug. 8. Students are reminded to bring their Social Security number with them. Band students must pay an additional $7.25 fee. Individuals requesting a textbook fee exemption must present a letter from the Public Aid office or some other type of proof of being a Public Aid recipient. On Monday during freshman registration, student council members will be available to assist freshmen in finding lockers and classes and to help answer any questions the incoming students may have. As a service, LCHS is providing students with student accident insurance coverage. Materials may be picked up at registration. Student athletes are reminded that they must have insurance coverage or fill out an insurance waiver prior to beginning practice. Student lunch prices for the 2001-2002 school year will be $1.60. There will be no cafeteria food service on Tuesday, Aug. 28. The staff in-service session for the beginning of the school year for all District 404 employees will be on Monday, Aug. 27, starting at 8 a.m. in the high school cafeteria. Wednesday, Aug. 8 — 8 a.m.-3 p.m.
Thursday, Aug. 9 — 8 a.m.-6 p.m. Lunch money will also be accepted on registration days or the first day of school. Any outstanding fees assessed for lost books or lunch charges must be paid by registration. All students must be registered at the school office before the beginning of the school year and must live with their custodial parent or guardian in the Chester-East Lincoln School District. Proof of residence may be required before registering a student at C-EL. Baseball practice started Aug 1. Girls basketball practice starts the first week in September. All students going out for sports will need a current physical and a sports consent form.